Do you want to have a flawless and natural coverage of makeup? How about a perfect and smooth finish without any streaks of foundation? All of this, and more, can be achieved with applying your foundation using an airbrush applicator. For everyday makeup, powder and liquid foundation being applied with the hands, brush, or sponge are very typical. However, for special occasions it is well worth it to try using an airbrush approach for your foundation coverage. This makeup method floats on the top layer of skin that lets the natural skin show through. There are three types of airbrush foundations that you and your makeup artists can discuss using, which are alcohol-based, silicone-based, and water-based. Each of these bases are wonderful to create the most effortless and natural look. However, there are some differences that set them apart from each other. Read on to learn more about each base, and which one will work best for you! The alcohol-based foundation is completely waterproof with a matte finish. You won’t have to worry about looking too shiny or having it streak or melt off with sweat or tears throughout the day. On the other hand, this can be a tad rough on dry skin because the alcohol will further the dryness of your skin. This is more commonly used on the body to cover arms, legs, etc. The silicone-based foundation is not waterproof but instead water resistant. Unlike the alcohol-based formula that has a matte finish, this base will cast a very dewy effect. This makes the skin seem to glow and look absolutely luminous. 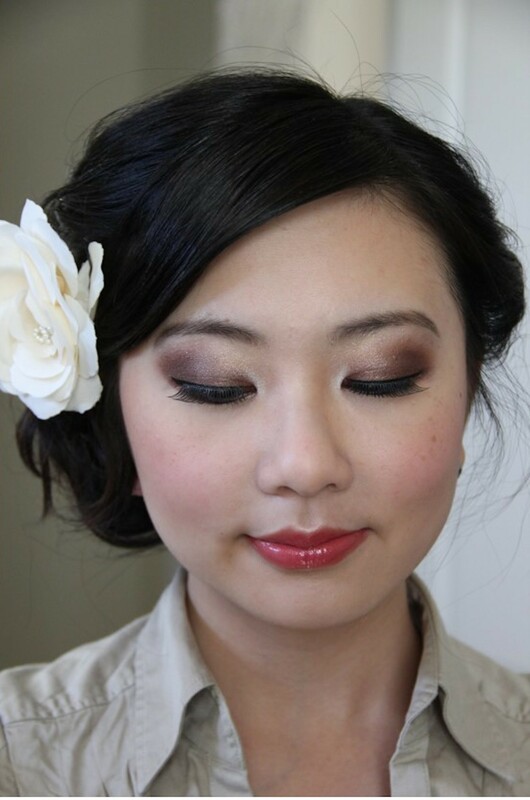 Brides who want to add to their natural bridal glow prefer this type of coverage. The third type of based for airbrush makeup is water-based. This is not water resistant and has a matte finish. This type of base is more frequently used that the previous two bases. Many people use this water-based foundation for their daytime makeup rather than their wedding day look. Many makeup artists love using the airbrush application when doing makeup because their clients are highly impressed by the end results. The clients notice that airbrush makeup lasts longer than their normal liquid or powder foundation and it is more water resistant and waterproof. Additionally, the overall look is very natural, clean, and fresh. Airbrush makeup supplies can be costly and are more expensive than typical makeup foundations, but the finished look is priceless. You will be overly pleased and surprised by how radiant this makeup will make you look and feel. In fact, you will be stunned at how light the makeup sits on your face. Makeup artists spend many hours taking classes and practicing how to perfect the skill of applying foundation with the airbrush equipment. Makeup artists really do recommend this type of coverage for special events and the results will speak for themselves…so try it out today! If you are unsure of which base would work best with your skin or the look you are trying to achieve, don’t hesitate to contact us. We would be thrilled to hear from you and can set up an appointment or trial to test out some of these bases on your skin! Brides spend a fortune on planning their wedding, making appointments for food tastings, scheduling fittings, exercising, and eating healthy for that walk down the aisle. However, some brides might overlook their beauty routine in the crazy and hectic weeks before the big “I do.” Sure brides schedule hair and makeup trials months in advance, but what about their actual skin? Hair and makeup add that extra boost of confidence and the coveted bridal glow, but it helps if there is a clean foundation. This brings us to the importance of beautiful and clear skin. Having a facial before your wedding day will not only help clear up any skin irritations or blemishes, but it will also help you de-stress and relax. The frequency of scheduling facials depends on the individuals themselves. For facial peels, it is typical for a person to have three peels every 3 weeks. This will lead to optimal results. For more problematic skin such as aged, scarred, or acne-prone skin, a facial peel series can be done every 3 months. Specifically for a bride, they should visit their aesthetician as soon as possible. Once you find an aesthetician and fall in love with their work, stick with them! The longer you work with a specific person, the more they will learn about your skin and they will be able to treat it better so that you can have the best looking skin that radiates on your special day. When visiting your aesthetician, they will have been trained in their field and will have experience with various skin types. Your aesthetician will be able to evaluate your skin and recommend procedures to be done during the actual facial appointment. This will also be a change in your typical routine that will give you a chance to test out different types of treatments. For a bride with dry skin, it is very crucial to hydrate correctly. 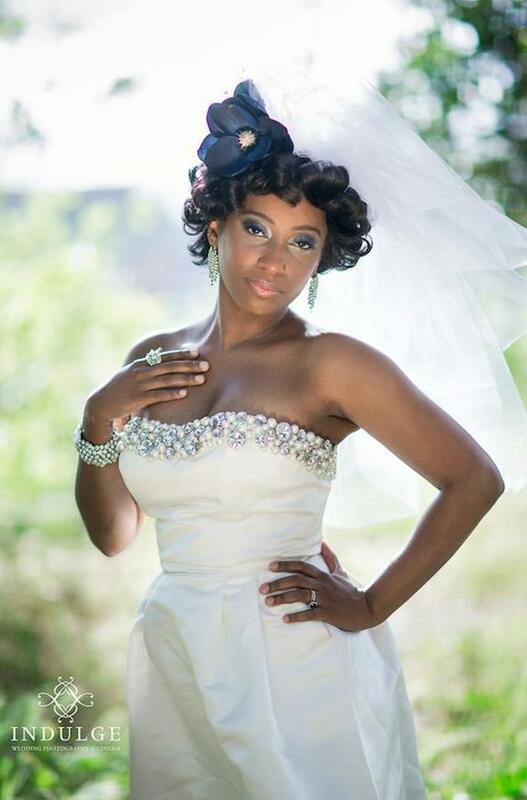 This will ensure that your skin will hopefully neutralize and gain more moisture leading up to your wedding. However, make sure that you are hydrating by both drinking water and applying a quality moisturizer. Additionally, light exfoliating to remove dead skin cells is another vital component to gorgeous skin. When it comes down to your wedding day, you can pretty much expect that everything will go as planned. Your skin, however, is one thing you cannot know for sure until the day itself. If you are completely broken out due to stress, your best friend for that day will be your concealer! You must fight the urge to pop or pick it; this will only cause irritation and redness. Jessica is an aesthetician and one of the Sanctuary cofounders located in Pleasant Hill. 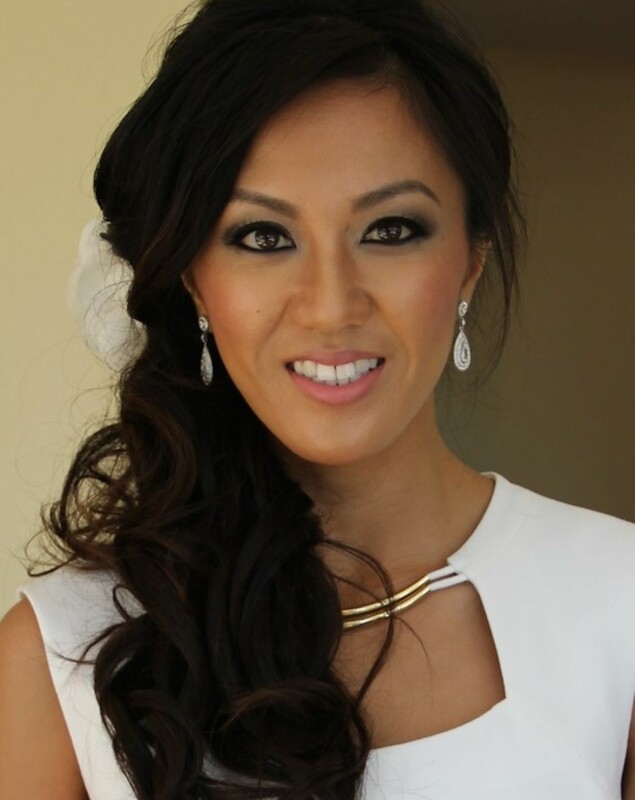 She went to Deluxe Cosmetology in Concord where she studied to become a licensed aesthetician, but attributes most of her wisdom from mentors whom she has learned from. Brides, don’t wait another minute! Contact Jessica through her website (JessicaFrame.com) or your go-to-aesthetician and start getting that soft and luscious skin you deserve!